Celebrating over 70 years of service in Randleman. 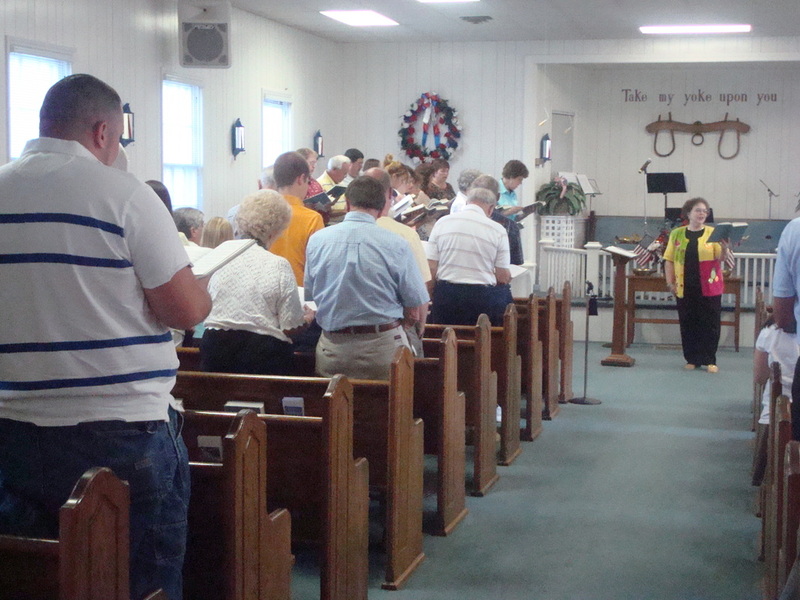 Randleman Friends Meeting was founded in 1944 out of a division from the First Christian Church of Randleman. The new congregation named themselves The New People's Gospel Tabernacle, following the direction of R.P. Lawernce. After Lawernce left, Charles and Cora Lee Johnson, a husband and wife team of Quaker ministers stepped in and had South Plainfield Friends Meeting set up The New People's Gospel Tabernacle as Randleman Friends Meeting. From 1945 - 1966, Randleman Friends went through 7 pastoral changes. In 1966, Wade Craven began serving as pastor of Randleman Friends Meeting and is currently the standing minister. Many pieces that are currently part of the grounds of Randleman Friends have been acquired during Wade Craven's period as minister. He and his late wife, Marian, have been a huge blessing to the development of Randleman Friends for 50 years, lending countless hours of humbling service to the members of Randleman Friends and the surrounding community. Wade Craven at his home in Randleman, NC.